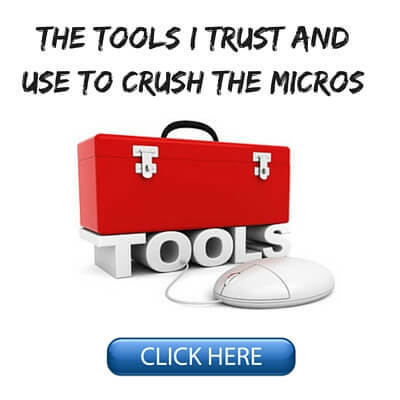 When people ask me what is the secret to success at the micros I often give them a simple answer. Bust the fish faster. And it is pretty easy to see why this is the case. In today's poker games, even at the lower stakes, you often have a table full of regs and one bad player who everyone is keying on. While you can and should be developing methods to beat the regs you are never going to turn a big profit against them. They just don't make enough mistakes for this to be possible. So the best way to get ahead in poker is to get the fish's money faster than all of the other regs do. And luckily this is still pretty easy to do at the micros. If it has any reasonable chance of making a hand after the flop, then I am raising the fish with it when they limp in order to get the pot heads up against them. Luckily at the micros most regs are still pretty passive so they will just let you keep isolating the recs all day unless they happen to wake up with a big hand. If you want to bust the fish faster, then you absolutely have to find more ways to get involved in pots with them. This is ground zero. You don't need to wait for the nuts. The 2nd way to start busting up the fish faster is to put them on tilt. Fish get easily frustrated when things don't go their way. And this causes them to play even worse than they normally do. The easiest way to put the fish on tilt is to isolate the crap out of them like I just mentioned and then CBet them almost every time. Now I know it can be annoying sometimes if they keep catching a pair and your can't flop anything. But even just the act of being aggressive like this is setting them up for the big pot. Because eventually you are going to make a big hand and guess who they are likely to call down with their bottom pair, an aggressive guy who has been raising and betting into them every hand or the quiet nit who hasn't played a hand in 20 minutes? 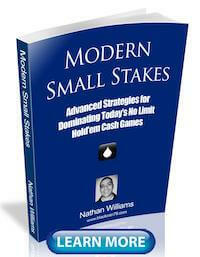 Another way to wreck the fish is to make sure that you are value betting them like crazy any time you have a hand. 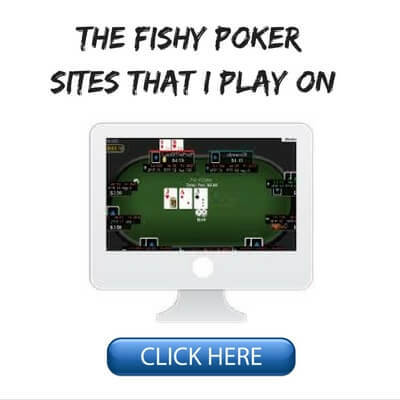 It is important to remember that fish are usually extremely passive poker players. They aren't going to build the pot for you! So you have to build it yourself. And you accomplish this by just continuing to make the most stupidly obvious bets against them. Don't try to get tricky or even think about trying to "trap" them. This will just go right over their heads. Just stick the money in! Any time you have a hand that is likely to be ahead just start betting and keep betting until they give you a clear reason to hit the brakes. And don't be afraid to make your bets on the larger side either or even overbet like I talk about in Crushing the Microstakes. If you have them on tilt and they caught a piece of the flop, they are going to call. One of the biggest things that people fail to realize is that finding the tables with the fish on them is only half the battle. Getting the right seat against them is just as important. The seat to the direct left of somebody is always going to be the most profitable. This is because it allows you to act last against them in literally every single hand. The power of position is so important in poker that if you took two evenly skilled players but gave one of them direct position every hand, he would eventually bust the other player for every last chip. When you also have a substantial skill advantage over the fish, and you get direct position on them, then it is going to be a massacre. Another way to bust the fish at the speed of sound is by overbetting action rivers especially once you already have them on tilt. I busted one rec player in particular with this play on multiple occasions in the NL2 video series that I put out last year. The key point to remember here is that fish don't fold straights, flushes or full houses. They just don't do it! So if you encounter a board runout by the river where it is possible that they have a big hand like this, and you can beat it, then the correct play is to simply shove all-in. On the first board if you have a 7 in your hand then you should always just shove all-in because they will never fold a 3. On the 2nd board, if you have a high overpair like AA, KK, QQ or JJ then you should also always shove. This is because they will never fold 55, 66, 77, 88, 99 or TT. Don't make a "standard bet" like every other reg out there and win a medium sized pot. Shove all the money in the middle and stack them instead. I don't normally suggest trying to bluff the fish because calling after all is what they do best. But if you are ever going to run a big bluff against them, then you should do it early on and absolutely 100% make sure that you show it to them. The reason why you want to do it early on against them is because people tend to give somebody who is an unknown more credit. Therefore, this is when bluffs are going to be most effective. A lot of people will just give you the benefit of the doubt for now. And unlike when you bluff the regs you absolutely want to show it to the recreational player when you bluff them. They don't forget stuff like this and they will call you down very often in the future. This is why once you show them a big bluff once you don't ever want to do it again. If you play a big pot against them again, make sure to show them the goods. Anyone who reads this blog knows that I am a huge fan of table selection. If you want to win big in today's games, then you should be treating it like your job in my opinion. So another way to get under the skin of the fish, and to make sure you are playing in good games, is to constantly follow them around. Here is another example hand versus a huge fish. I would chase this guy around all day! 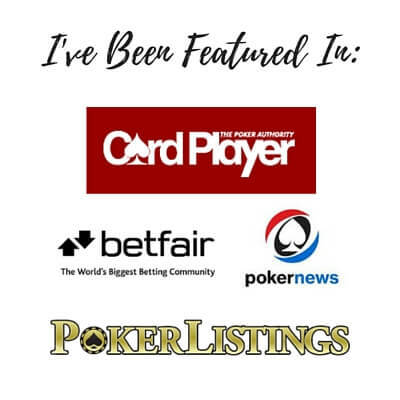 On most poker sites there is a search player option. Any time I identify a recreational player I will be searching what other tables they are playing at. I don't care if they are playing Omaha, I am gonna join that table too. This way I am able to get involved in even more hands with them and keep isolating and tilting them. This improves my chances even more of getting their money before all of the other regs do. Recreational players play poker with their pride on the line. A loss of face is more important to them than an actual monetary loss. They don't like to be pushed around or "bullied" as they like to put it. So what should you do then? Bully them of course! So along with isolating the crap out of them every time they limp I also like to mix in some ridiculous overbets (with the goods of course) from time to time just to irritate them even more. So if I am already under their skin a bit and I flop something strong like top pair top kicker and they lead into me, I might just shove half my stack in the middle occasionally. I know that they are going to fold most of the time. Although once in awhile I will get lucky and they will decide to play sheriff against me. The real point of this bet though is to embarrass them and attack their pride. Because once I get somebody to start making poker decisions based on their ego instead of their wits, their money is mine. The final way to bust up the fish at lightning speed is to always be cognizant of your timing tells when you make a big play such as a raise on the river. Remember that fish are usually only playing on one or two tables. They are paying attention to exactly how long you are taking to act. So if you are making a big value raise it is best to let your timebank run down a little bit (about 10 seconds or so) and then make the big raise. This looks extra bluffy to a fish. In their mind they interpret this as somebody who is trying to make a big play on them. When in reality I have AA and I just want to make sure I get them to call! It is really important to "hollywood" your big hands like this in order to make sure that you get the most calls from the rec players. Don't make quick decisions that might convince them that you really are strong. 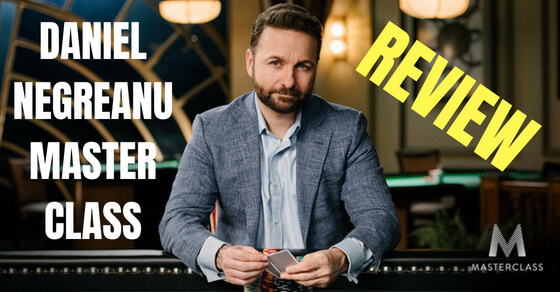 Busting the fish is one of my favorite things to do at the poker tables and it should be for you too. 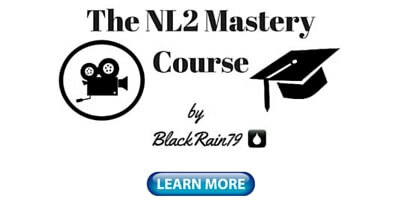 After all, if winning money in poker is your goal, then this is the best way to go about it. The real focus in today's games needs to be on getting the fun player's money before the rest of the regs do. And luckily this is still pretty easy to do as most regs are just robotically clicking buttons and not focusing enough on the recs. 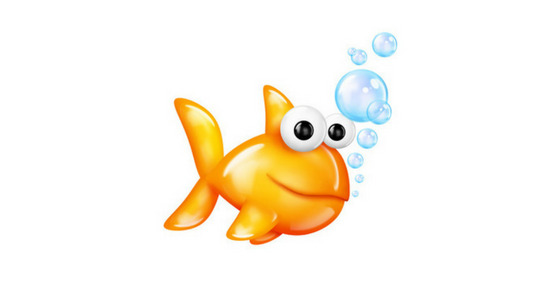 You can make sure that you get the fish's money faster than they do by isolating the crap out of them, tilting them, chasing them around, overbetting and bullying them. Let me know in the comments below what some of your favorite ways to bust the fish are. 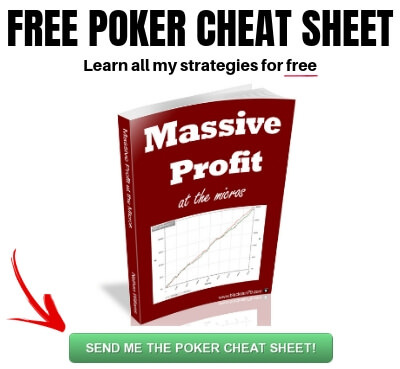 Lastly, if you want to know the strategy that I use to create some of the highest winrates ever recorded at the micros online, make sure to pick up a copy of my free poker ebook. If you found this article helpful, also be sure to give it a "Like" or a "Tweet" below. Thanks! "The seat to the direct left of somebody is always going to be the most profitable. This is because it allows you to act last against them in literally every single hand." Yes, there are several ways to spot the fish without using a HUD. Check out this article of mine for more on that. 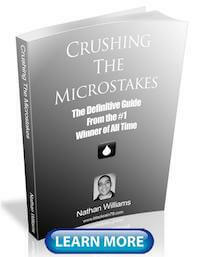 nice article Nathan, as always! I isolate the fish like crazy at all limits. The only reason that I would change anything though is if there happen to be some aggressive regs on my left. They will know that my range is wide and just 3Bet me like crazy. Unfortunately this does tend to happen more and more as you move up the limits. You can either move tables or tighten up your iso range. following your posts everyday. keep em coming. you are helping me get better all the time. still have leaks but i am getting there. Thanks alot. I even changed my name to MicroCrusher. Though you would like that. Have a great weekend Nathan. Thanks David, glad I could help and great name!